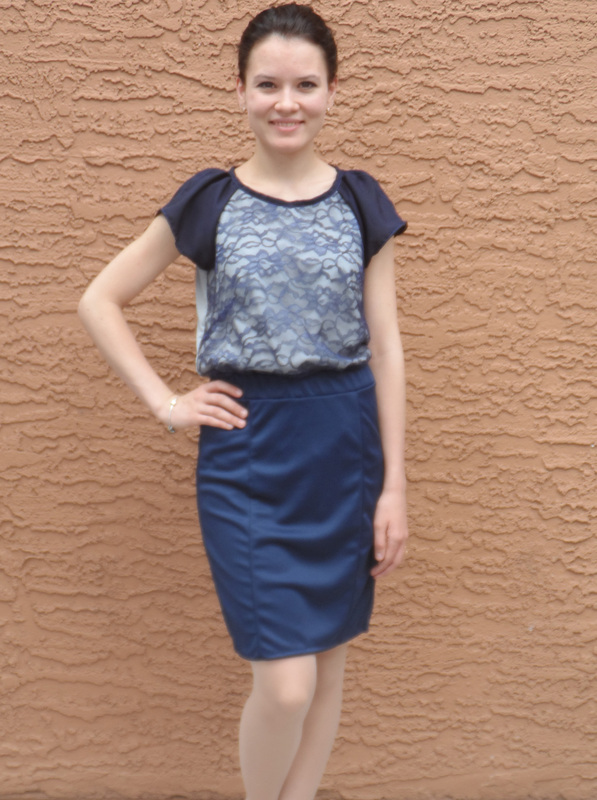 Sewing business casual: all dressed up in navy blue! – Go ask Alisa – DIY capsule wardrobe one stitch at a time! Sewing business casual: all dressed up in navy blue! According to my sewing schedule last week I entered my business casual phase. I am almost 100% positive that I am done with sewing summer dresses and all those flirty tops and shorts, and entering the ne phase: sewing for work. This determination holds certain challenges, since while you are trying to make it interesting and fashionable there is only this much you can work with. There are certain fabrics allowed, definite color spectrum and of course a dress code, defining what you can and can not sew. Since I am a very particular person, let’s look into the definition of business casual style: “For men: trousers/khakis and a shirt with a collar. For women: trousers/knee-length skirt and a blouse or shirt with a collar. No jeans. No athletic wear.” – according to Forbes. In my case I should say I am spending most of my work day on my feet, running the floor (restaurant job is never easy), so I will definitely choose practical and comfortable over super pretty. It does not mean that my clothing is ugly – no, but sometimes less is more. Quite conservative, with some fashion elements and accessories, but nothing too big that would limit my ability to move fast. Patterns: My choice this time was to go the path I know would lead me to success. 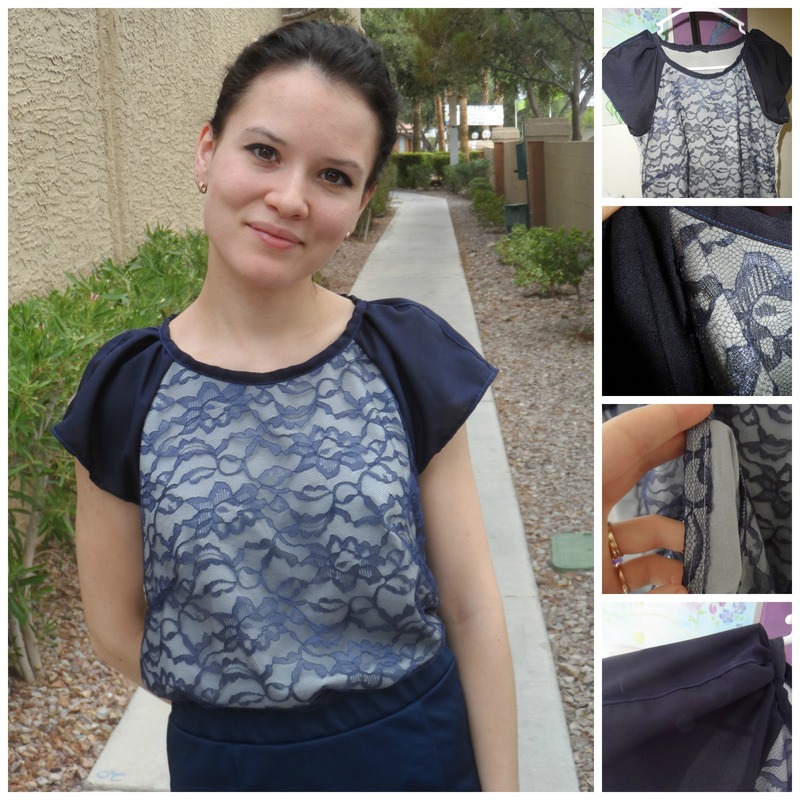 Choosing well-loved pattern was one of my top priorities: new look raglan sleeve blouse and burda’s panel skirt. Fabric: navy blue ponte for skirt (very thick jersey like material, with a bit of a sleek shine to it) and blue and silver rayon for the blouse, as well as navy blue lace. This is not the first time I worked with these patterns, in fact I made this panel skirt 3 times before. Pairing it up with navy blue cropped blazer and comfortable flats I believe this is a perfect outfit for a day at work. Thats a really great looking outfit. The lace overlay adds a profresh touch. I go back to part time work in the new year and have been trying to figure out a work wear outfit that is both relaxed fit, comfy and professional looking. You have inspired me to make this! What pattern number for that raglan top? 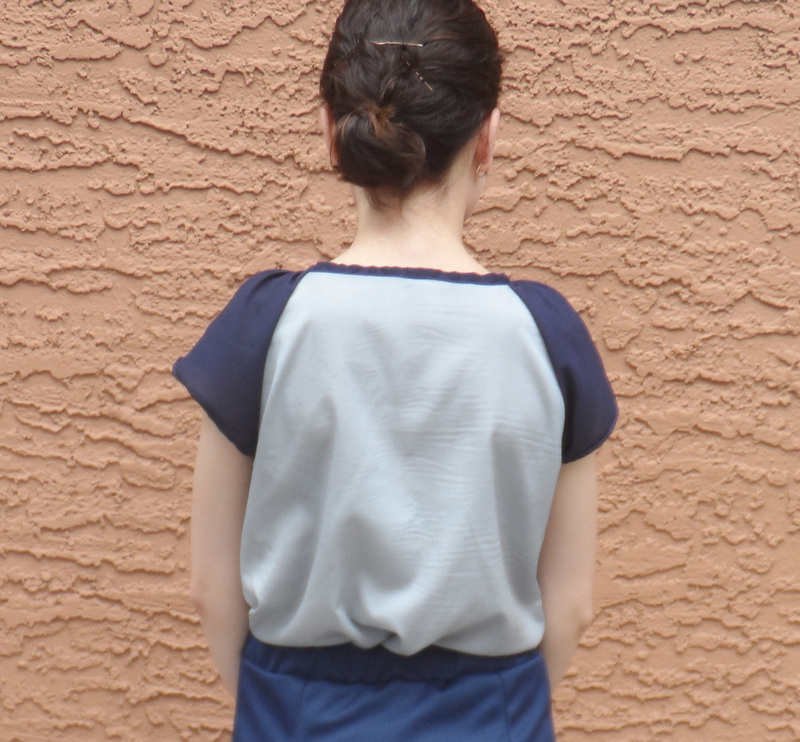 It is a New Look pattern for raglan blouse 0911! Congratulations on your job and yes – that is always a problem to figure out the best type of work wear! Be sure to post your creations, I am looking forward to them! Cheers! Next Next post: Sewing news and online competitions, hurry up!